The new Trussardi and Trussardi Jeans campaigns fully express the contemporary feel of the SS 2019 Collections through understated shots that enhance the accessories. 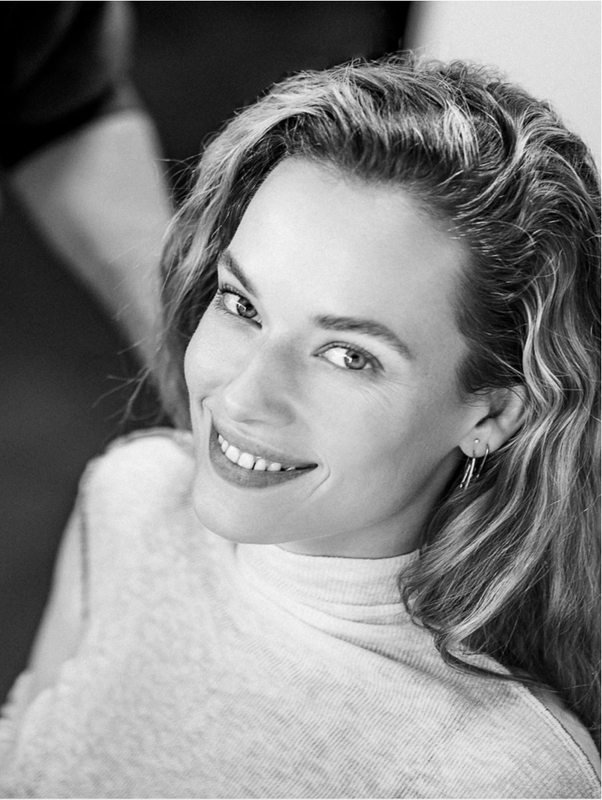 Alongside the videos and advertising images, the fun Trussy Grey Levriero bursts into the “behind the scenes” video, revealing what happens behind the curtains on the set of a photo shoot. 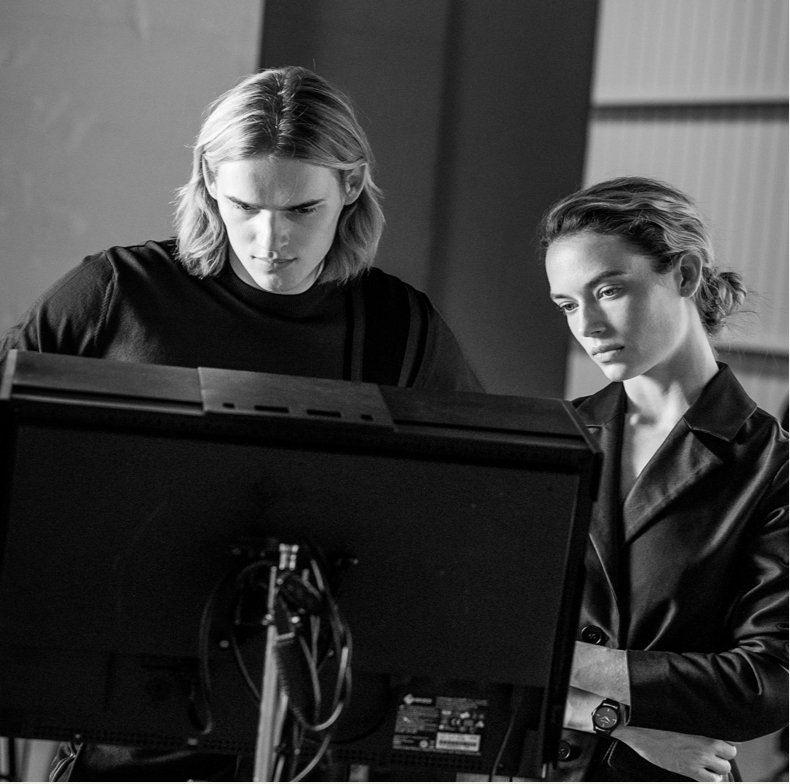 The famous American model, Hannah Ferguson, and the Dutch model, Ton Heukels, are the faces of the new Trussardi campaign. 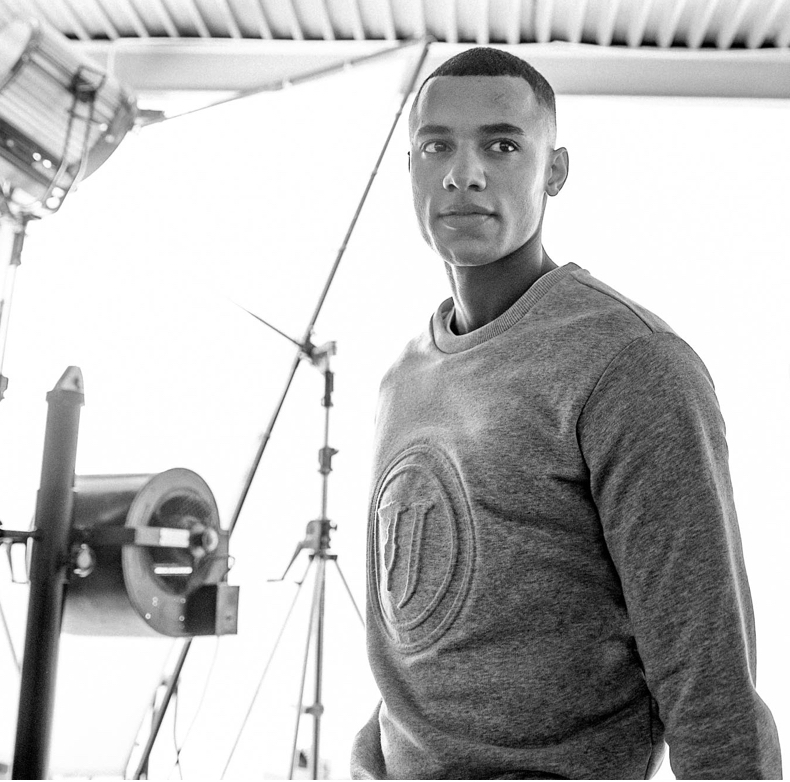 Here are a few backstage shots while they were interpreting the new collection: refined and contemporary with an urban feel, with leather front and centre, a material that has always been a mainstay of the brand’s heritage. Simple shots, against a warm background in an intimate setting, to enhance the new season accessories and garments. Hannah Ferguson wears an iconic leather trench coat paired with one of this season’s bags in nappa leather, on which the Levriero detail has become a fine closure. 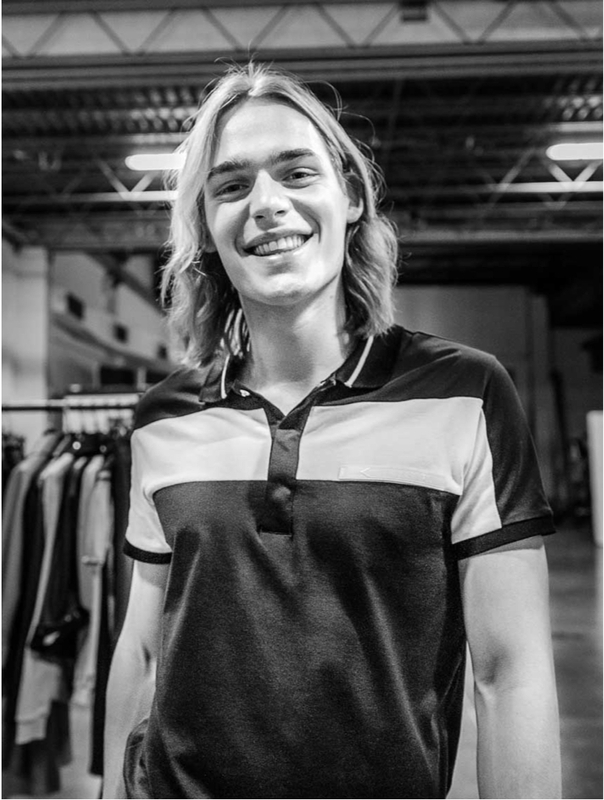 Ton Heukels wears a leather biker jacket and a nylon backpack, distinguished by an exclusive camouflage print. 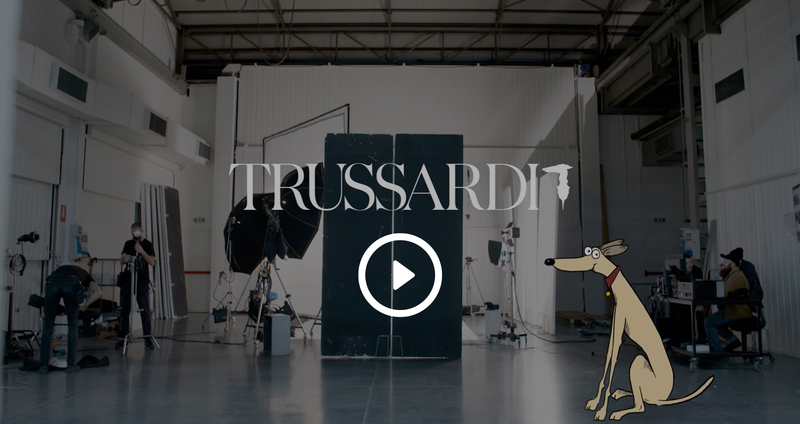 Aurora Ramazzotti and the German model, Nathaniel Ludemann, are the testimonials of the SS 2019 Trussardi Jeans campaign. The shots from behind the scenes show them while they are interpreting some of the garments from the new collection inspired by the perfect trip between Nevada, Las Vegas and Coachella, with distressed-effect field jackets, vibrant neon, flowing dresses, gypsy patterns and denim as their faithful companions. Black and white photos, set within a refined atmosphere with a pop feel, where the denim has been beautifully paired with T-shirts, branded sweatshirts and the iconic faux leather biker jacket. Perfectly in line with the apparel, the accessory collection is made up of shopping bags, bucket bags, crossbody bags and backpacks. All comfortable accessories for people who like to travel in style.